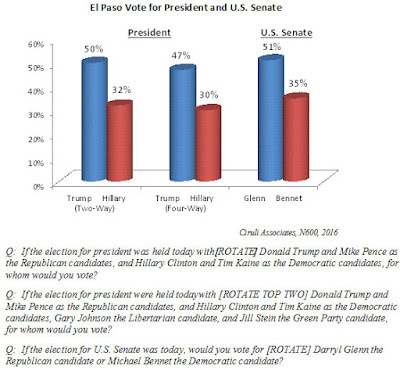 Trump, Glenn Winning El Paso County – But is it Enough? In a new Ciruli Associates poll for the Colorado Springs Gazette, Republican Donald Trump and hometown U.S. Senate candidate, Darryl Glenn, are winning El Paso County voters. Not surprising in the Republican-rich county, but their margin may be too small to win the state. Trump is receiving 50 percent to Hillary Clinton’s 32 percent. Glenn receives 51 percent of voter support to Democratic incumbent Michael Bennet’s 35 percent. In a four-way race, Trump has 47 percent, Clinton 30, and the two main independent candidates split 10 points (Gary Johnson and Jill Stein). 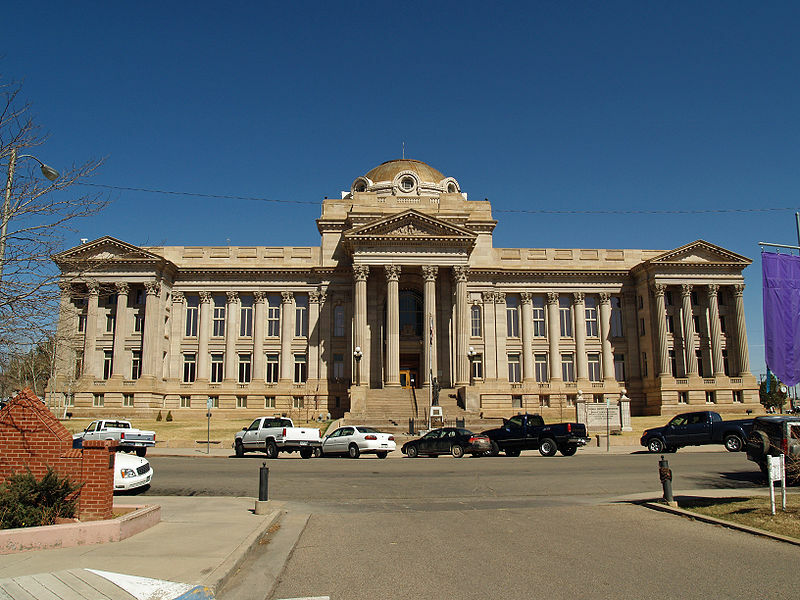 In recent history, statewide Republican candidates receive about 60 percent of the El Paso County vote. If forms an essential component in their statewide vote. The polling profession’s premier association – the American Association of Public Opinion Research (AAPOR) – memorialized the passing of Helen Crossley in its October AAPOR News. Helen founded the Crossley Center for Public Opinion Research at the Korbel School. 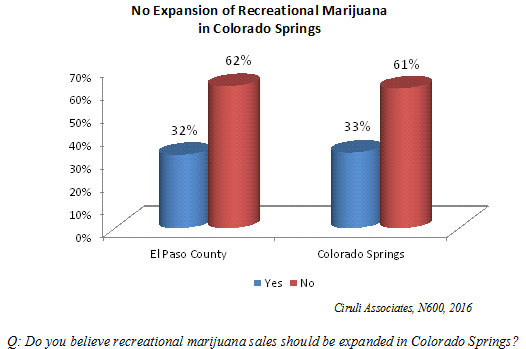 In a new Ciruli Associates poll for the Colorado Springs Gazette, 62 percent of voters oppose “expansion of recreational marijuana in Colorado Springs” – 61 percent in the city. 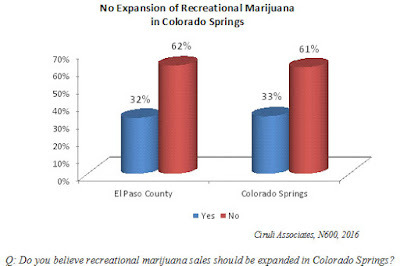 Twenty-five percent of the Colorado electorate have cast their ballots. In an election likely to draw somewhat more than 2.5 million voters, nearly 700,000 have voted by Friday, October 28. 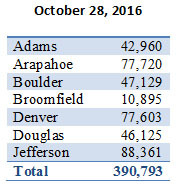 The Denver metro area has about 55 percent of that vote, with more than 390,000 ballots already cast. 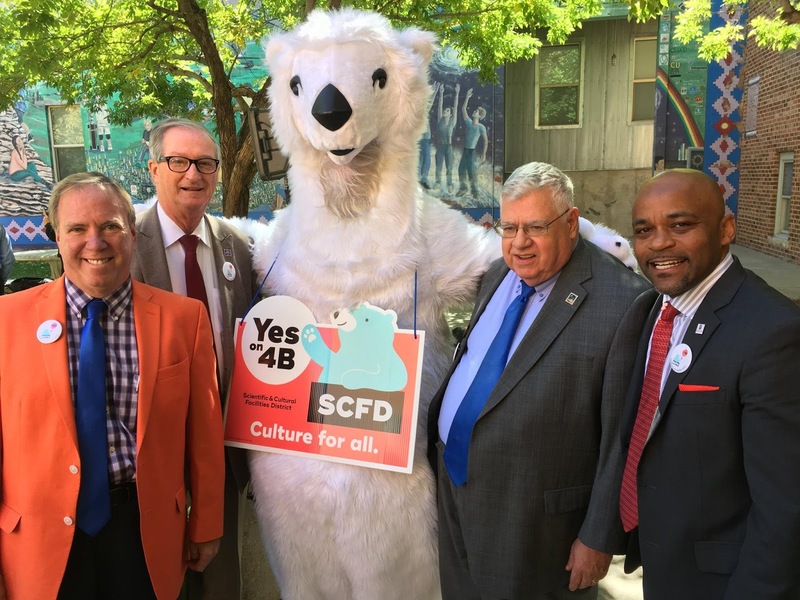 The outstanding media promoting a YesOn4B vote to renew the SCFD was produced by Launch Advertising, a small custom Denver media firm with exceptional creative and talent and a strong strategic sense. They just-published an email on “The feel-good vote of the season!” It’s very good. Watch it here. The BBC broadcasted a U.S. election special last Tuesday, with Colorado as a key battleground state. 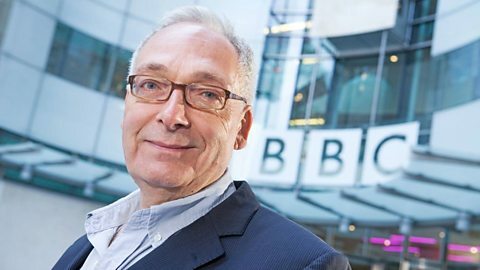 Dan Damon, the journalist-host, interviewed me in an hour-long program that featured stories about Denver’s growing Millennial population, our cowboy history and the evangelical community in Colorado Springs. 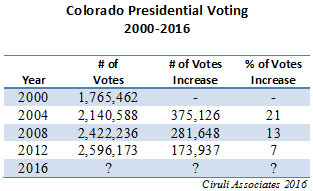 The Colorado presidential turnout has been increasing rapidly in this century with the state’s population surge. The initial jump of 21 percent in the 2004 election was the current record. There are mixed views as to the Colorado presidential vote turnout this year with two controversial and broadly unpopular candidates at the top of the ticket and a non-existent race for Senate. It is unlikely Colorado will produce 3 million votes by November 8, but the total presidential vote should increase 200,000 and get to 2.8 million. Will Millennials be inspired to turn out? African Americans? Are weak poll numbers discouraging Trump’s angry white vote? Will some Republican moderate voters simply skip it? 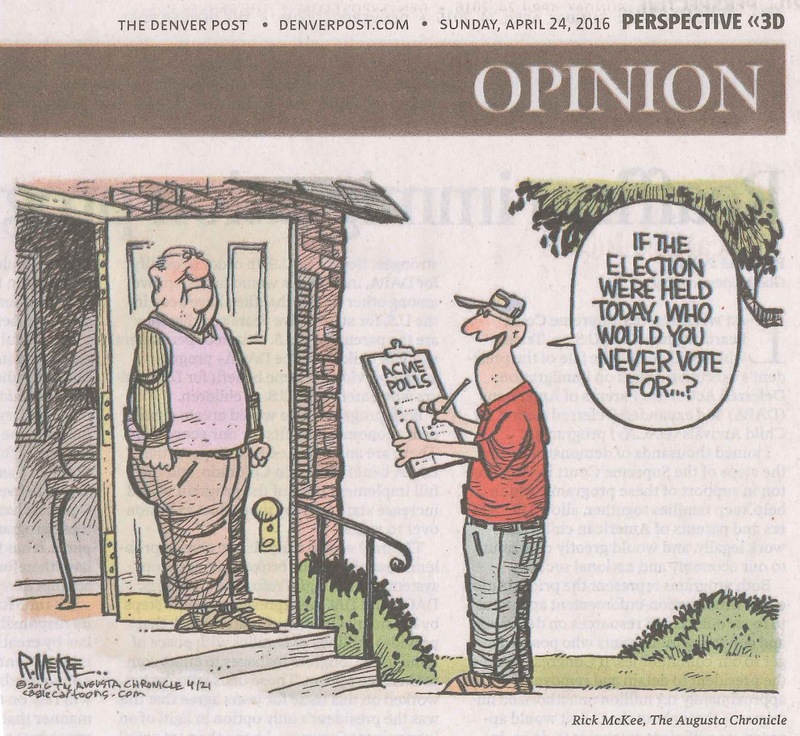 Will Colorado Turnout Hit 3 Million Voters? 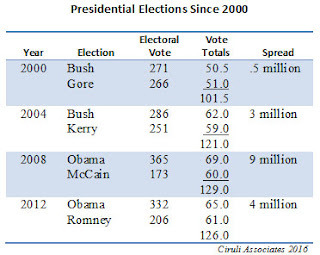 About 2.5 million voters showed up in the 2012 Colorado presidential election. Turnout in 2016 will most likely not reach 3 million, but Colorado’s population and voter registration continues to grow. Total turnout, which will affect many local races, should range from 2.6 to 2.8 million voters and produce 1.5 million in the Denver metro area. Donald Trump used the primary debates to dominate and often belittle his opponents and propel his candidacy. Polls provided his favorite rationale for his legitimacy. Regardless of how incorrect, ill-informed or inexperienced he appeared, the fact that one-fifth — climbing later to two-fifths — of Republican primary voters supported him was his main talking point for why he should receive the nomination and lead the party. But in the three general election debates his candidacy crumpled. After nearly closing the gap with Clinton before the first debate, his poor performance, seen by 84 million viewers, reinforced his ill-preparedness and undisciplined mind and behavior. Any momentum he had built stopped, and he fell back four points in the polling averages in five days. He lost the second and third debates as the national and battleground states’ polls continued to slide away. The main takeaway from the second debate was his promise to investigate Clinton (or as his crowds chant, “lock her up). And, in the final debate, he announced that due to the “rigged” system, he may not concede. After all three debates, the Republican Party is more divided than ever, and a significant portion of Republican leadership regrets its nominee. Trump’s weak polls and poor performance have caused the party to focus on saving the down ballot races. Trump’s debate performance, reinforced by polls, turned against him in the end. Colorado began mail-back voting on October 18 as ballots began to arrive at the homes of more than 3 million registered voters. Nearly 300,000 have been returned as of Tuesday, October 25. A SurveyMonkey poll of 15 battleground states was reported in the Washington Post on October 18. Clinton won the two-way race in Colorado by 9 points and the four-way race by 7 points. Among the state surveyed, Gary Johnson received his second highest vote in Colorado, tying with Wisconsin at 12 percent. He received 18 percent, his highest percentage in his home state of New Mexico (Clinton won the state by 8 points). Senate incumbent Michael Bennet was cruising to re-election with 52 percent of the vote compared to 42 percent for Republican Darryl Glenn. 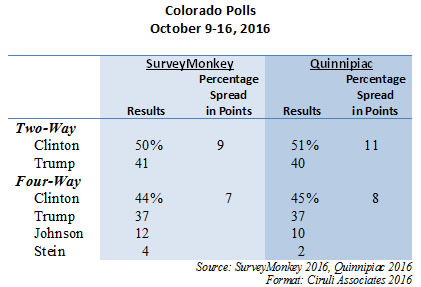 The latest Quinnipiac Colorado survey has Clinton ahead 45 percent to 37 percent in a four-way race from a poll conducted October 10-16 (in the two-way race, Clinton is ahead 11 percent). 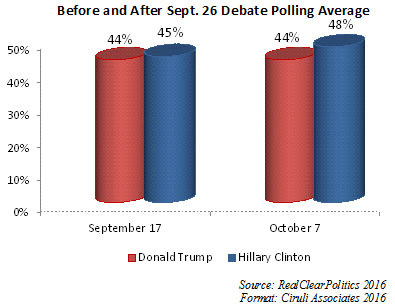 Clinton’s four-way number increased one point since September 22 (before the 1st debate, Sept. 26) and Trump’s support went down 5. Bennet leads Glenn 56 percent to 38 percent, a major widening of the race since the September 23 Quinnipiac poll (Bennet 52% to Glenn 43%, a 9 point shift). Hence, in two polls with very different methodologies, Clinton and Bennet are headed toward substantial wins. Donald Trump’s argument that a rigged election may cause him to lose will be a hard case to make if the polls showing him six points down are correct. John McCain lost by 7 points in 2008, or 9 million votes. 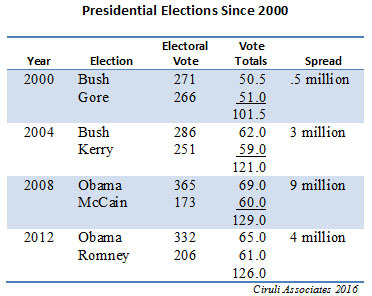 Trump’s defenders like to cite the Al Gore-George W. Bush election in 2000 as an example of an election that required a recount and stopped Gore’s concession. It involved 537 votes after recounts and court cases. Unless Trump reverses the current trend, he will lose by five to ten million votes and 300 plus electoral votes near, worse than Mitt Romney in 2012. Since the Obama era and the surge of Millennials (18 to 35 year olds) into the electorate, unaffiliated voters have come to dominate the Colorado registration rolls. They are now 36 percent of voter registration. Republicans have fallen to third place with only 31 percent, and more than 200,000 registered voters behind unaffiliated and about 20,000 behind Democrats. In a year of voter volatility and unpredictability, the forecasts are closing in on a Clinton victory. The New York Times Upshot has Clinton a 93 percent likely winner and the review of colleagues shows across-the-board agreement: 538 (Nate Silver) at 86 percent, Huffington Post 96%. This is largely because polls three weeks out from the election begin to dominate the forecasts and Clinton is ahead by 6 to 7 points in all the polling aggregator sites. But, the next unknown is will Trump’s loss lead to a wave election? A wave this year would require a 30-seat shift to the Democrats in the House to make Nancy Pelosi Speaker and 4 or 5 seats in the Senate (depends on which party wins the presidency) to put Chuck Schumer in charge. Shifts of that magnitude are rare. The American Presidency Project reports only four presidential elections since Roosevelt’s 1932 win shifted 30 or more seats. And presidential landslides don’t necessarily correspond to huge shifts in the House. In 1936, Roosevelt won every state except Kansas, but only added 12 seats to the big Democratic majority created in 1932. Richard Nixon’s 45 states sweep in 1972 only added 12 Republican seats. Obama’s 9-point victory gained 23 seats in 2008 and Reagan’s massive re-election in 1984 only shifted 14 seats. Barry Goldwater (1964) and Jimmy Carter (1980) did cost their parties major losses in the House. The Senate this year was always assumed to be at risk for the Republicans because of defending so many seats and having several states where Democrats are likely to win the electoral votes, such as Illinois, Wisconsin and Pennsylvania. The RealClearPolitics generic congressional ballot test has increased to 4 points in favor of the Democrats in recent weeks. There have been some recent mid-term elections with major losses for the president’s party: Obama losing 63 seats in 2010, Bush 30 in 2006 and Clinton 52 in 1994. But, this remains a difficult election to predict. Although Republicans are likely to suffer losses, it’s not clear that a wave is building, at least not yet. Republicans no-shows at the polls may equal Democrats, especially Democratic minority and Millennial voters. Many of them who do vote for Democrats may not vote for lower races. Clearly, the Democrats feel a wave. They are shifting their attention and resources to Senate and House races. It will take about 46 percent of the total electorate to win the race for the White House, assuming third-party candidates win about 8 percent of the vote, leaving 92 percent to divide up. Currently, Hillary Clinton is holding about 49 percent and Donald Trump 42 percent. On two occasions since the California primary made Clinton the presumptive nominee (Trump was considered the nominee when Ted Cruz dropped out after the Indiana primary), Trump was one or two points ahead or behind Clinton. The first time was at the conclusion of the two conventions on July 29 and the second was before the first debate. Unfortunately for Trump, the Democrats had a good convention (they appeared unified, Republicans did not) and he attacked the Khan family, both of which put Clinton into the lead. But by Labor Day, after weeks of negative press on e-mails and the Clinton Foundation, the race tightened, then the “basket of deplorables” and the 9-11 fainting incident led to an even worse September for Clinton. Also, Trump shook up his campaign and tried to stay on message. By the first debate, the race closed to a couple of points. But Trump failed to answer questions about temperament and what appears to be his final slide began. Friday, October 7, offered a powerful blow to his image when the Entertainment Tonight tape of “locker room talk” broke. Trump’s slippage continued through the second debate on Sunday, October 9. On the eve of the final debate, he is in a deep hole. As Donald Trump approaches Wednesday’s final debate, every projection shows him losing by at least the Romney vs. Obama margin of 4 points in 2012 (5 points in Colorado). Although Trump’s scorched earth strategy may depress some Democratic turnout, it is hardly drawing more centrist voters to him. In fact, a growing group of business and political leaders and editorial boards that would normally support the Republican nominee are condemning a politics that delegitimizes the democratic process and constitutional principles, such as a peaceful transition of power. The polling aggregators use some different techniques and mixtures of polls, but mostly the corpus of national polling results is similar – Clinton is ahead by 6 to 8 points. The forecasters add historical and economic data to help strengthen their projections, but this close to an election polls tend to dominate the algorithms. 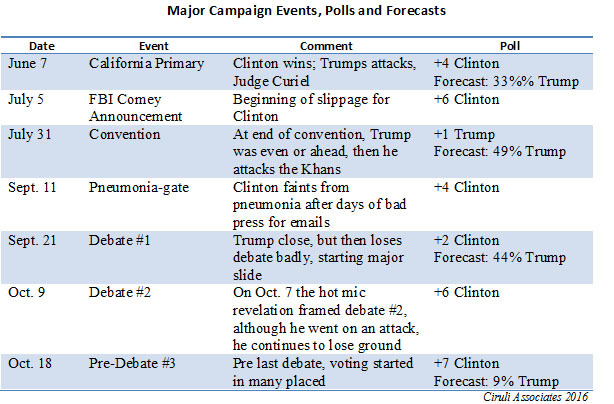 As the election nears (about 3 weeks), forecasts are converging on a Clinton victory by 80 percent or higher level of certainty. But this is October and we are still dealing with Russia and its assault on our democracy. So no prediction appears safe. After November 8, of course, we will deal with the next problem, that is the transfer of power. 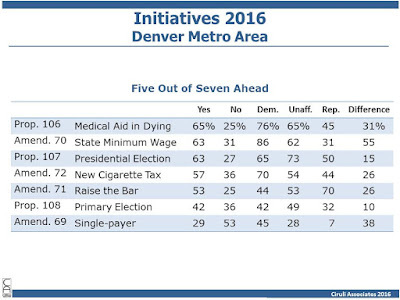 In the late September metro area poll on Colorado’s seven ballot issues, partisan differences range from 55 points between “yes” and “no” on minimum wage, 38 points on single-payer, down to 10 points on the primary election and 15 points on the presidential election. 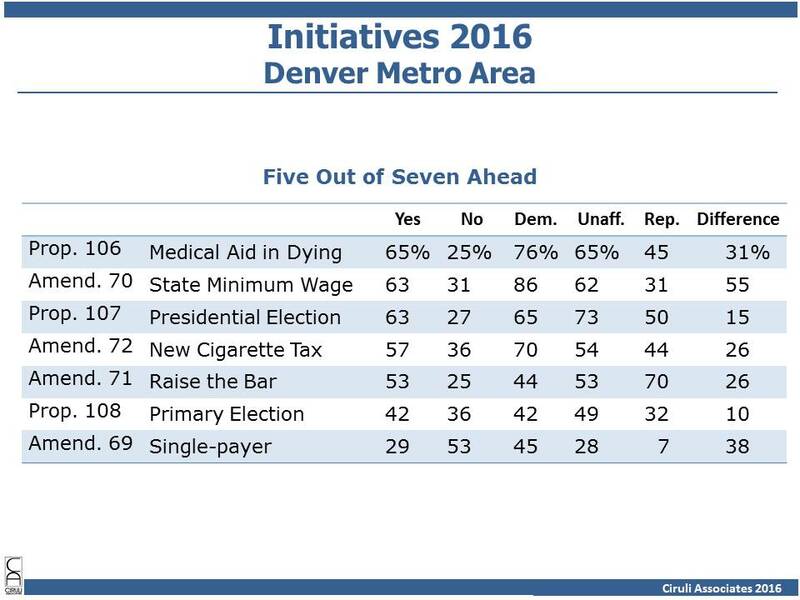 Democrats are highly in favor of minimum wage, medical aid in dying and the new cigarette tax. Republicans like Raise the Bar, but not much more. Fifty percent support the presidential election proposition. They strongly oppose the single-payer proposal and the minimum wage. Raise the Bar proposition is fragile and it faces a wave of editorial opposition. Unaffiliated voters are more supportive than members of either party for the presidential election proposition and adding them to primary elections (not surprising). The Scientific and Cultural Facilities District (SCFD) is a legacy project for the Denver Post and its former counterpart, the Rocky Mountain News. They both endorsed it in the original authorization election in 1988. And, they both followed its progress and evolution and endorsed it in two additional successful renewal elections (1994 and 2004). 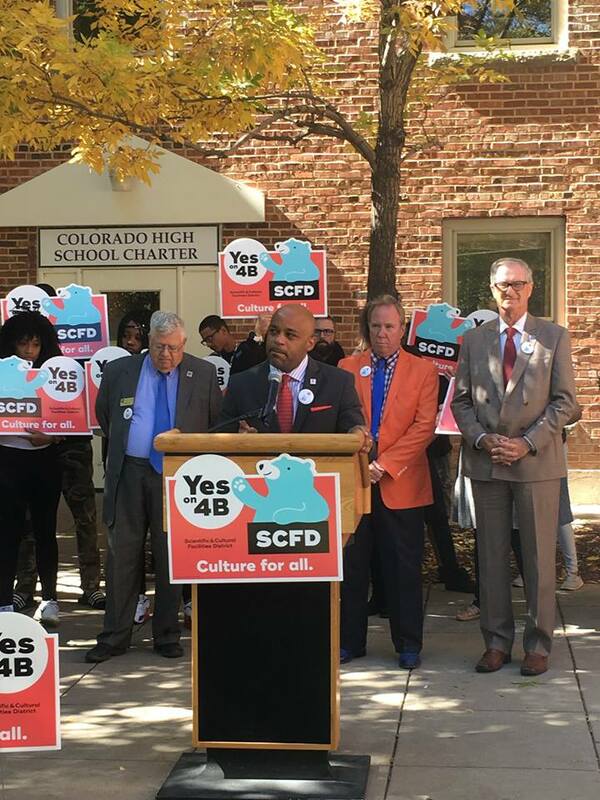 Voters in seven Denver-area counties have the unique opportunity on Nov. 8 to protect what has already been fostered for 28 years through the Scientific and Cultural Facilities District. 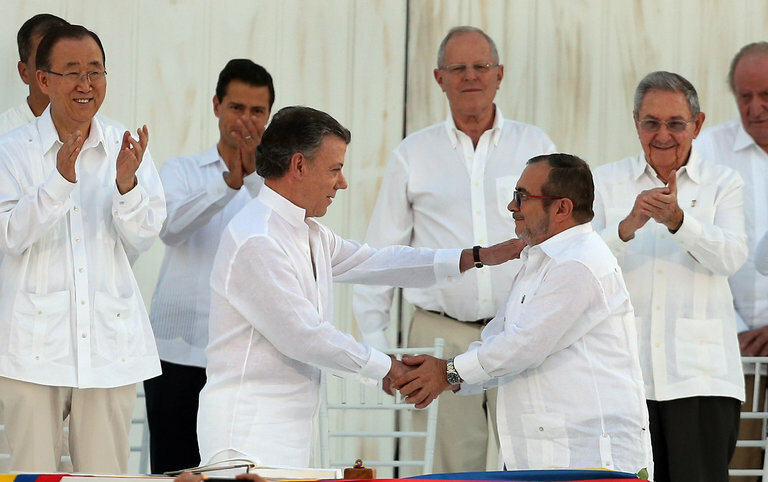 Colombian President Juan Manuel Santos won the Nobel Peace Prize, but lost a national referendum vote on his peace plan. The disjointed headlines praising the prize but lamenting the loss highlight the difference between aspiration and reality. The desire to bring the 52-year conflict to an end is widespread. But the war left much pain that has not been forgotten. Possibly the biggest loser was not President Santos or his worldwide supporters, such as the Obama administration, the EU or the Pope, but the Castro brothers. They, along with the late Hugo Chavez, had been major backers of the FARC. Chavez is gone and his successor appears only hanging on due to a military that will at some point decide its interest is without President Maduro. The Castros, however, are attempting a very difficult transition that preserves the safety and privilege of their family and continuation of their party and system in the face of its basic failure to provide a decent quality of life. Most dangerous for Castros’ future is that Cuba is now in a slow integration with the commercialized and capitalist North. The Colombian – FARC agreement, which gave up Cuban- and Venezuelan-like socialist goals (never accepted by the public and lost on the battlefield) for broad-based amnesty and the nucleus of a legitimate left-wing party, was negotiated over four years in Cuba and the final agreement signed in Cartagena. Raul Castro put himself front and center clapping at the ceremony. The voters of Colombia didn’t accept it, at least partially because of the poor image of the Castros and their Cuban fiefdom. The Castros should be nervous that a day may arrive for an up or down vote on continuing their legacy. Cartagena, Colombia. Raul Castro clapping to the right. 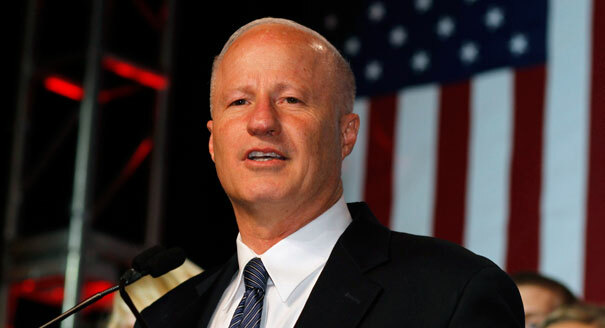 Congressman Mike Coffman was in the national news last weekend for a second time since August in his call for Donald Trump to withdraw from the presidential ticket, which won’t happen. In early August, Coffman was recognized as one of the most vulnerable Republicans who planned to “stand up to Trump.” Coffman has never endorsed Trump or said he would vote for him. Coffman is in one of the most competitive congressional races in the country and his opponent’s primary issue is Coffman’s closeness to Trump. RealClearPolitics has projected a potential 15-seat pick-up for the Democrats. Coffman’s 6th Congressional is in the list of 15 most vulnerable. Speculation is now growing that Trump’s latest crisis could create the Barry Goldwater debacle when 36 House seats were lost in 1964, or the 1974 to 1976 scenario when the Richard Nixon resignation led to a 46-seat Republican congressional loss, first in the 1974 congressional election and then when Gerald Ford lost to Jimmy Carter in 1976. 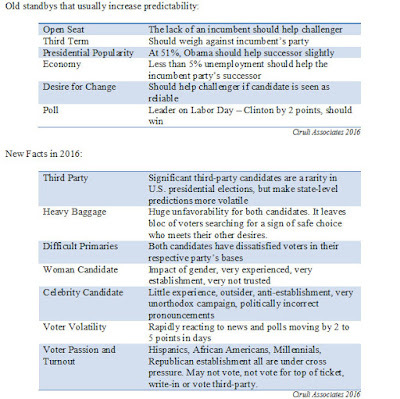 Although the entire array of forecasters followed regularly and reported in the New York Times Upshot election website predicts a Hillary Clinton victory by upwards of 70 percent probability, this remains a volatile election with a variety of factors that produce a lot of caveats in predictions and nervous laughter in pundit conversations. 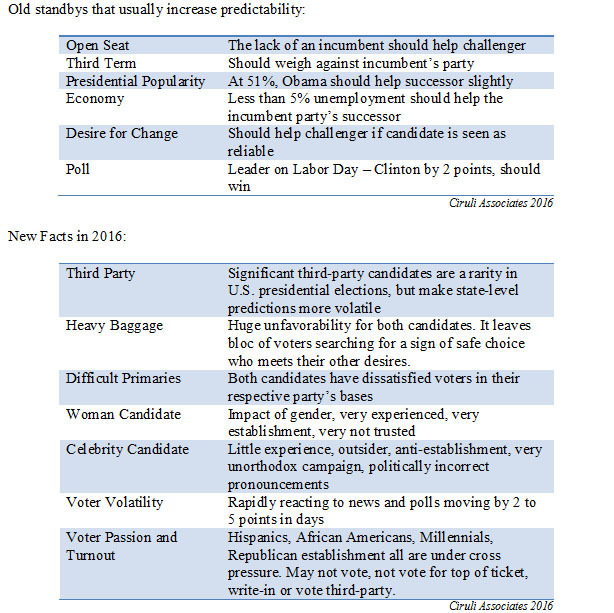 Some of the factors are normal in an open seat presidential election, but others are particular to this year. In a Ciruli Associates metro poll conducted the end of September, a majority of the statewide ballot issues are passing, although two have less than 60 percent, a sign of weaker support. Cigarette tax has the greatest financial opposition ($10 million). Amendment 69, the single-payer initiative, has attracted the second largest financial opposition, with $4 million contributed and only $400,000 reported in support. The contributions, and hence, campaign advantages, is with Medical Aid in Dying, Minimum Wage, Raise the Bar and the two primary election initiatives. Survey of 900 metro likely voters, ±3.3 percentage points. Does Trump Get a Second Chance? Donald Trump’s performance in the September 26 debate was a disaster. He then extended it with behavior that reminded everyone of his post-convention antics. The week before the debate, Trump was positioned to take his first lead in the campaign since the brief weekend between the two July conventions. Now, he is down at least 4 points nationally and behind in a host of battleground states he had moved ahead in. The question is will the public suspend their disbelief and wait for one more performance that reassures moderate voters that he has the discipline, temperament and knowledge to be president? Or, did the chance pass on September 26, the decision over and now it’s all counting? 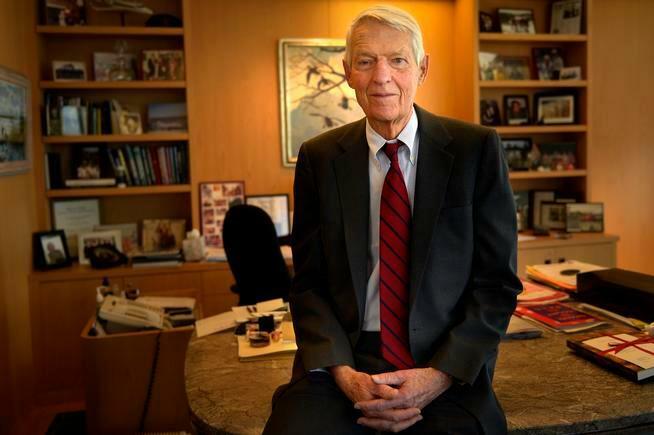 Fred Hamilton, one of Denver’s great civic leaders, passed away last week and was honored in a very moving tribute ceremony in his beloved Denver Art Museum (DAM) on Thursday evening. Fred was an original booster of the Scientific and Cultural Facilities District (SCFD) in the 1980s, joining other leaders from the DAM, such as Rex Morgan, Fred Mayer and Barry Hirschfeld. They helped form the initial advocacy group. He was a leading participant in the successful 2004 renewal of the District and organized the DAM’s early advisory committee for the current renewal campaign. Thanks to Fred and his wife, Jane, for their leadership and support. 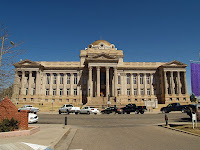 The metro area’s cultural Scientific and Cultural Facilities District (SCFD) is one of the nation’s unique, intergovernmental special districts. The SCFD is a tax authority that operates with minimal government overhead and maximum fiscal benefit for residents. It is considered a national model of regional funding cooperation. 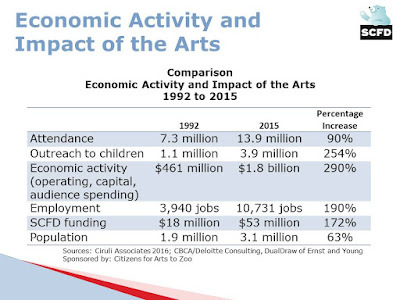 In 1991, shortly after the District was established (1989), Deloitte Consulting conducted an economic impact and activity study of the arts. Our firm produced the first report and A.B. Hirschfield Press provided the printing. Since then, a similar study sponsored by the Colorado Business Committee for the Arts has been conducted every two years, with the latest report just being released and covering data from 2015. As the following table shows, the growth in attendance (90%), now 13.9 million, and outreach to children (254% increase), now 3.9 million, has been nothing short of spectacular. It’s one of the primary reasons the National Endowment for the Arts (NEA) just cited the state, and especially the metro region, as one of the country’s leading areas for cultural attendance. 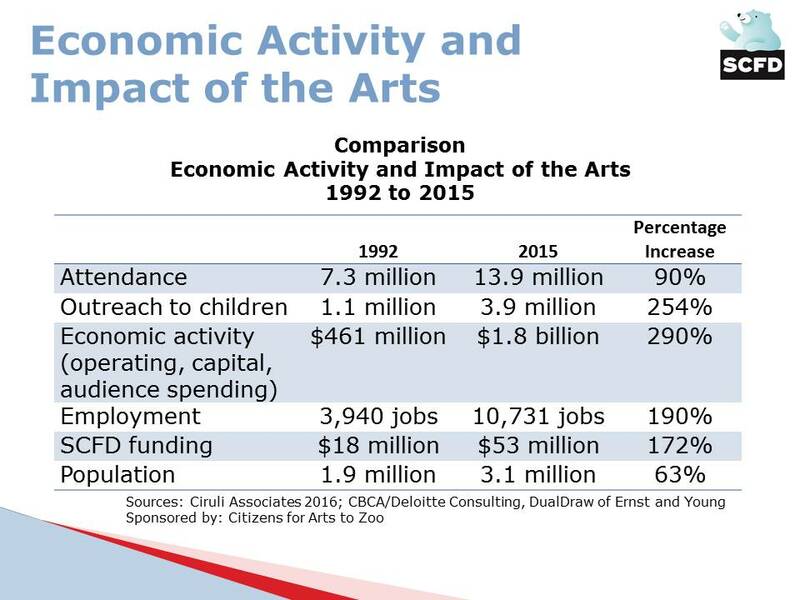 In terms of economic impact, the study shows $1.8 billion in economic activity is generated yearly from the arts (290% increase from 1992), and it provides more than 10,700 jobs. 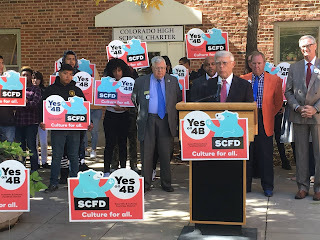 The District has been supported by four legislatures (1987, 1994, 2004 and 2016), and by voters in three elections, most recently approving the SCFD’s renewal by 66 percent (2004). A theory had developed that states that receive the most attention in presidential contests, once they are apparently locked down by a candidate, tend to stick with the candidate if the national polling tightens or even shifts leaders. In 2012, when President Obama lost the first debate to Mitt Romney, the national polling lead briefly changed and stayed tight (2 points for Obama) to the end. Obama won by 5 and carried all of his battlegrounds except North Carolina. Due to his battleground states staying with him, such as Ohio, the race was never particularly in doubt and several prognosticators appeared prescient. 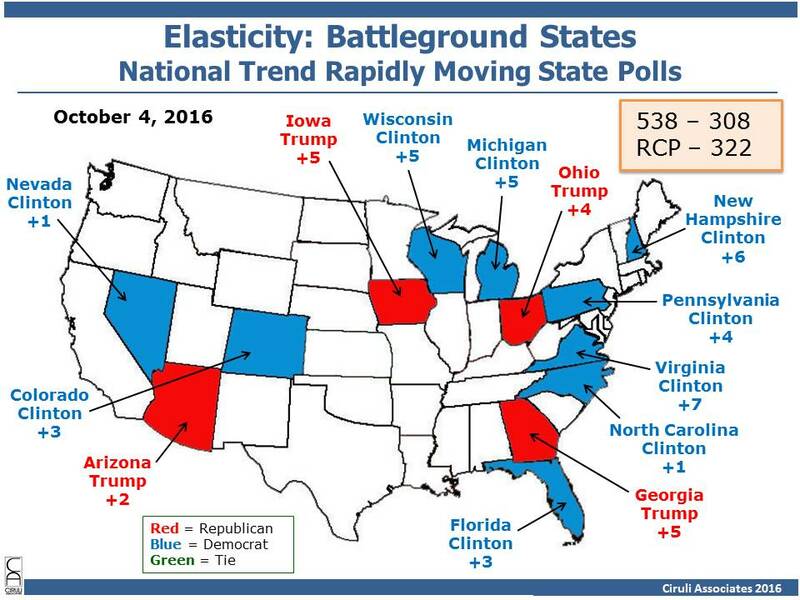 This year, however, battleground states are moving much more in tandem with the national average. Colorado, thought to be safe for Hillary Clinton in mid-August, turned into a one-point race at the end of September. Florida, North Carolina and Nevada have all recently flipped frontrunners. 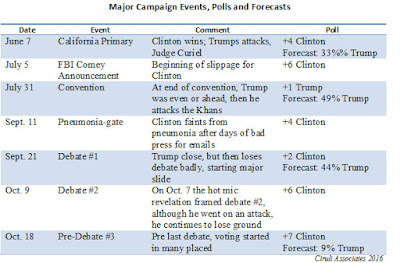 And given Donald Trump’s poor debate performance and post-debate controversies, both national and battleground polls are rapidly, if not hugely, shifting. 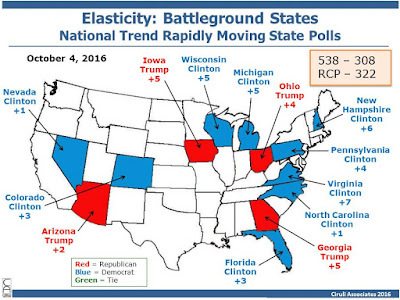 This year, battleground states are highly elastic or sensitive to shifts in the national polling average. It appears control of the national narrative is more important than ground games and local advertising and endorsements. Donald Trump not only lost the first debate with Hillary Clinton, but he turned the post-debate commentary into a complete disaster. First, he went into full throat denial that he lost using non-probability viewer response polls. Also, he picked up on one of the least salient debate points concerning a beauty contestant winner and turned it into an ethnic-identity talking point for Clinton. The diversion reinforced for the mainstream media commentariat that Trump simply does not have the discipline to run a national campaign nor temperament to occupy the Oval Office. Trump entered the debate with momentum in both national and battleground polls, but ended up wounded, and a week later, desperately in need of something to change the subject. Trump never ceases to mention polls, which have often showed him to be a “winner,” but his clinging onto media marketing surveys in the face of ridicule shows that his dependence on the data is more a personal need than based on strategy. It’s still a close race one week after the debate, but Clinton is back in a narrow lead. At some point soon, Trump runs out of time and voter interest in his effort to show discipline, preparation and temperament. 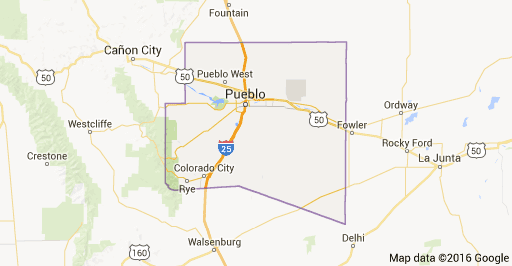 If Donald Trump is going to win Colorado, he will need to keep it close in Pueblo. In a long analysis, Denver Post reporter John Frank highlights both Trump’s weaknesses in Pueblo, such as the Democratic registration advantage, and his possible strengths, such as a blue collar town where a candidate’s position on guns is a lot more important than their viewpoint on gay marriage. Frank points out that there have been recent Republican candidates who have done well or better than expected in the county, including Congressman Scott Tipton and Senator Cory Gardner. I offer the observation that running reasonably well in Pueblo is important for a statewide Republican candidate as the old Republican counties in Denver’s south and west suburbs have been much less reliable during the last decade. Trump’s messages about better jobs and law and order hit home in Pueblo, where a recent survey showed crime and the economy as the top two issues. Only 29 percent believe the county is headed in the right direction, half the proportion as Denver voters.